Fall is officially here and even though the weather hasn't gotten the memo I am still so excited. Our decor is out and Evan had so much fun helping me decorate our home. We have pumpkins everywhere and our fall scented candles fully lit. I recently received my order from Walmart.com. I found so many great deals. Everything I love for this season at a low price, because this mama is on a budget. 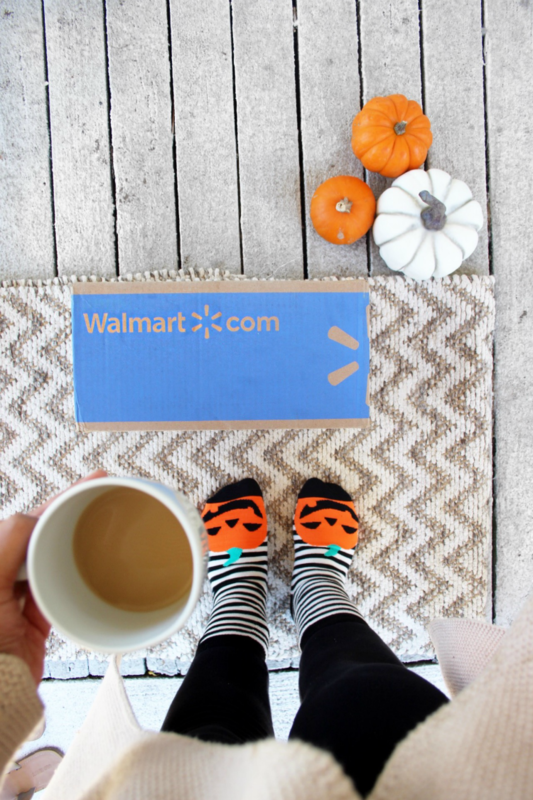 Walmart.com is making shopping for this season convenient and fun! Coffee was the first item I added to my cart and ended up adding six more items, one of them being a cute sweater! Their website makes shopping so easy for this mama. I can avoid having to go into the store with my four year old, who is obsessed with going to Walmart, but only to sucker me into buying him something he doesn't need.😅 This wasn't my first time shopping Walmart.com and I am sure it won't be my last. It's my one stop shop, it's easy, and the prices are always low. Saving me big!! 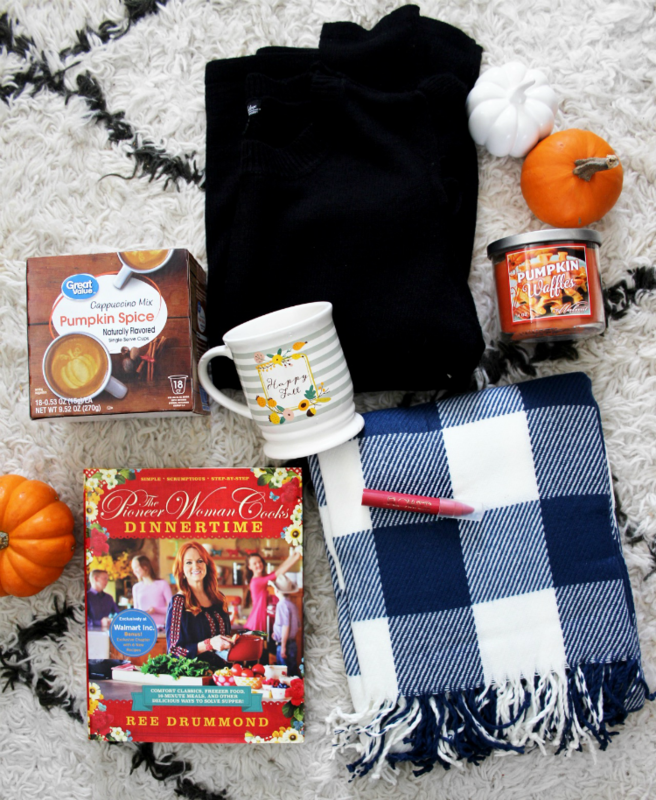 I am sharing my fall essentials @ Walmart, what are yours? THROW BLANKETS: Nothing screams fall more than throw blankets. They add so much character and coziness to your home. 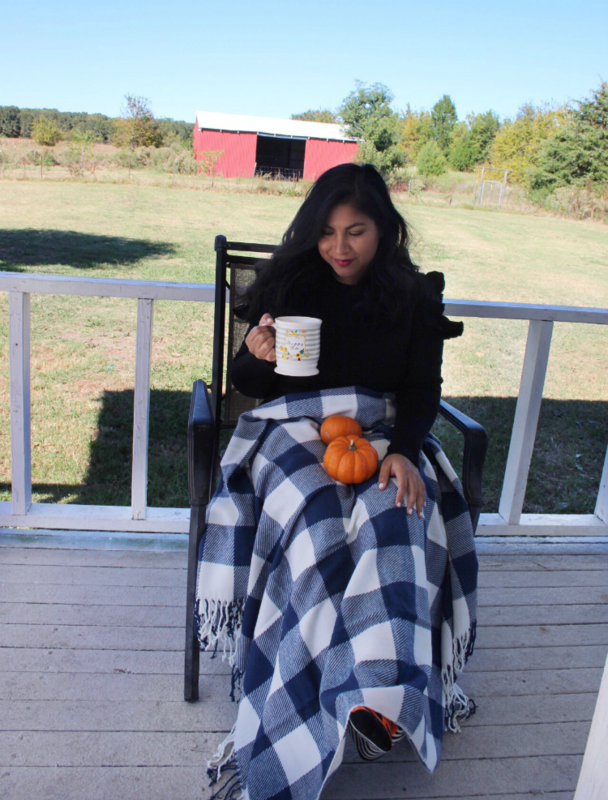 I enjoy my morning coffee wrapped up in my favorite throw and watch a fall movie or just sit outside and enjoy the morning crisp air. This buffalo plaid throw is a must have for only $12! 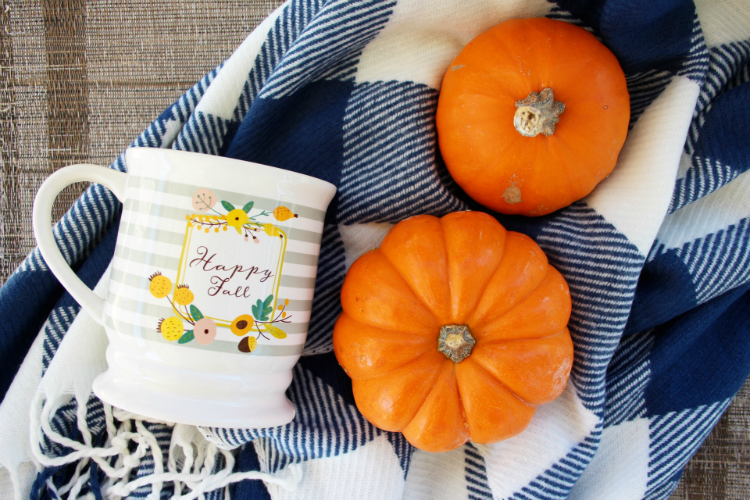 CUTE COFFEE MUGS: Shopping for cute mugs is so fun I don't think I could ever have too many. The one I picked up from Walmart caught my attention because it is simple, and the perfect size. Any neutral mug pretty much ends up in my collection. Walmart.com has so many cute mugs! 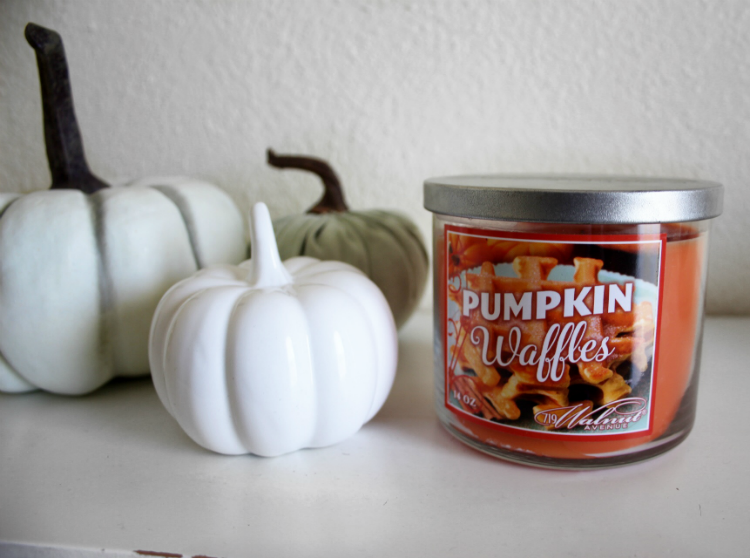 CANDLE: I have so many favorite fall candles, but when I saw a pumpkin waffle scented candle I had to add to my cart. This candle smells like fall and the price is unbeatable. What is your favorite fall candle? 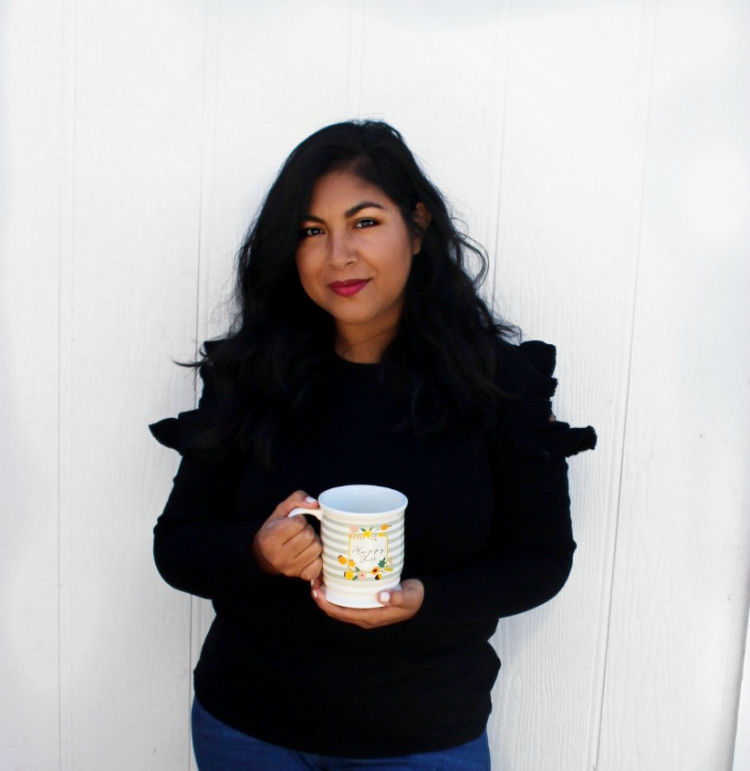 PUMPKIN SPICE COFFEE: What is life without pumpkin spice anything? Call it basic all you want, but pumpkin spice coffee is life!😂 Great Value pumpkin spice cappuccino mix k-cups are my favorite for this season. My coffee bar isn't complete without them! 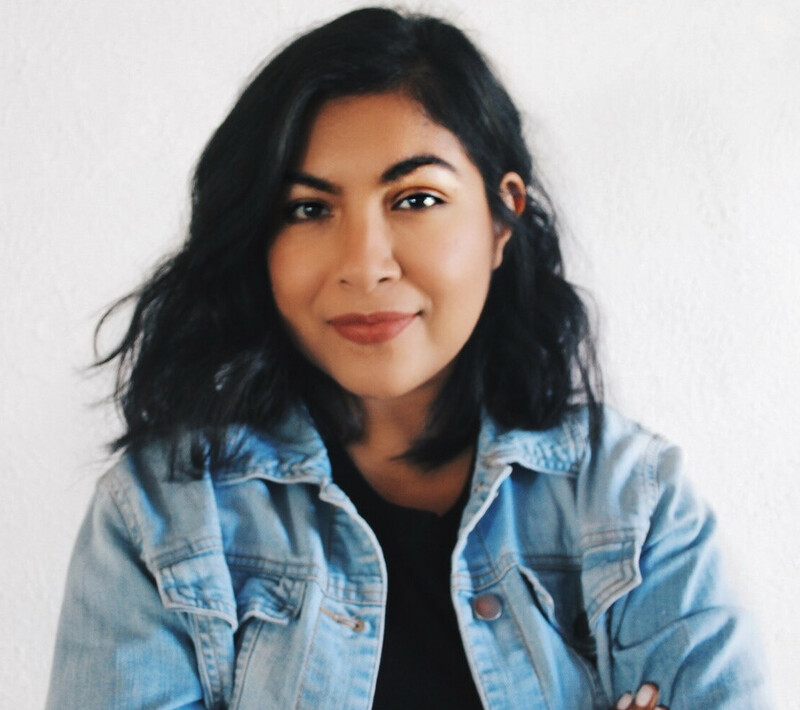 FALL LIPSTICK: I always go for berry tones during fall. I found this lippie at Walmart by Flower and it is the perfect berry color. I can just keep it in my purse this season. I am wearing this lipstick in the shade Berry-More. FAVORITE MOVIE: Fall calls for family movie nights. 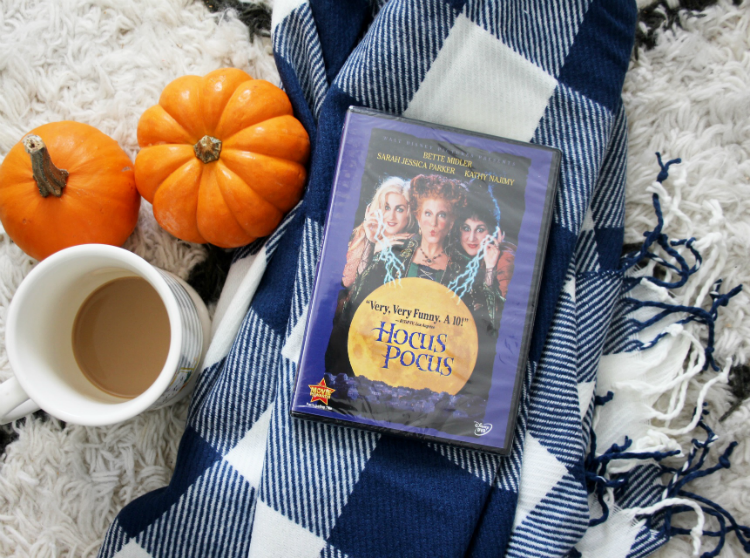 Hocus Pocus is one of my all time favorites. I can't believe I didn't own it. Now I can watch it all fall long. A COOK BOOK: I cook and bake the most around this time of year. Having a good cook book by my side is ideal to successfully getting through this fall season. I love The Pioneer Woman cook books. Her recipes are delicious and not to mention her kitchen line at Walmart is crazy cute. COZY SWEATERS: It's officially sweater weather! Woo!! I can't believe I found this cute sweater at Walmart for $10! Check out all my picks here!! Happy Fall! !